I want to be loved. But I don’t just want to be loved. I want to be loved by the person that I love the most in this world. But I don’t just want to be loved by the person that I love most in this world. I want to be loved by the person that I love most in this world all the time. I want to be loved with a fierce, pursuing love that cannot be compared to any other brand of love in the entire world. I want to be loved whether I weigh 300 pounds or have miraculously captured my high school weight. I want to be loved when everything about me is unlovable. . . when I’m ugly, hateful, sick, smelly, dirty, annoying, abrasive, and in all ways detestable. I want to be loved with a pretty woman kind of ” i don’t care if you are a prostitute, i am going to climb this fire escape and build a lifetime of happiness with you” kind of love. I want to be loved with the protective, territorial love of a rebel dance teacher who says ” nobody puts baby in the corner.” I want to be loved in a way that makes a man roam through his neighborhood singing my name like Tony’s cries for Maria in West Side Story. I want to be loved with a Ross stands outside in the rain and he would be willing to do so forever because he loves Rachel kind of unlock the multiple locks on the door so I can kiss you now and forever kind of love. I want to be loved with a Jacob works 14 years to capture the heart of Rachel but it seems like just a few because he loves her so much kind of love. And I want that kind of love . . . from the person that I love most in this world. . . all the time. . . I understand unconditional love. . . I crave it. . . I want it. . . I need it. . I’ve dreamed about it. . .
and it makes sense to me that my sweet farmboy would love me UNCONDITIONALLY. . .
but what does he need, love, crave, want? what makes him feel complete and comfortable in his place in this world? I love him no matter what forever. . . but that doesn’t mean that much to him. It’s not what he wants most in this world. . . nope.. . . that crazy guy wants RESPECT. . . But he doesn’t just want respect. He wants respect from the person that means this most to him. And he doesn’t just want respect from the person that means the most to him. He wants respect from the person that means the most to him all the time. And he doesn’t just want respect from the person that means the most to him all the time. He wants respect from the person that means the most to him all the time – – even when he may not be all that respectful. He wants an admirable, faithful, dependable respect that he can’t get from any other source in this universe. He wants respect when he’s tired, grouchy, sick, angry, weary, downhearted, distracted, and when he’s told me he doesn’t have time to do what’s most important to ME on my to-do list. 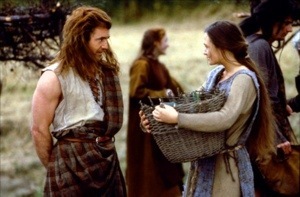 He wants a William Wallace brave heart kind of respect that comes when you look at a man and know that he would gladly die for you. He wants a Russell Crowe in Gladiator kind of respect that flows from the heart of a woman who knows he will never give up. He wants the kind of respect that Liam Neison demands in Taken with his “very particular set of skills” used to rescue his family. He wants the kind of respect that flows out of our hearts as we watch “The Passion of the Christ.” He wants an unyielding, freely flowing source of continuous and unconditional respect. And he wants ME to provide it – – to be the source of an eternal flame of respect. I come from the land of unconditional love. This new planet of unconditional respect is strange and foreign to me. I am stumbling here because I am not familiar with the terrain. I am a little uncomfortable here because I have not yet learned to trust it. But I love the way my husband looks at me here. . . . the way he opens up and talks. . . the subtle little balloons that float out of his heart and say. . . I love you. But I don’t just love you. I love you all the time. But I don’t just love you all the time. I love you all the time – – -even when you are unlovable. The ground is a little firmer here. The sun is a little brighter. The grass is so green, and yet it doesn’t rain very much here. Maybe the land of unconditional respect actually leads to the land of unconditional love. And the more time I spend here giving respect – – -the more I enjoy that unconditional love I long for. Wouldn’t that be something?